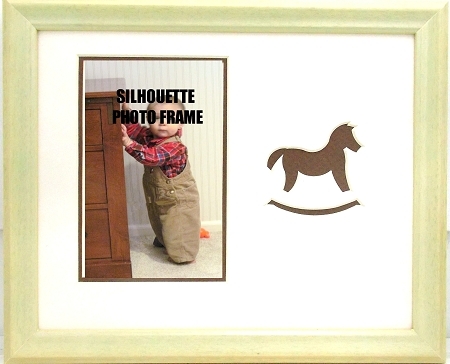 Wall mount rocking horse photo frame overall size 8x10 holds a 4x6 photo. Unique carved silhouette image of a dark brown rocking horse, double mats and photo mounting board included. Ivory wood frame includes glass,wall hanging system and gift box, easy access from the back.